There is a photo gallery accompanying the story, and, yes, it is quite gruesome to get through. Money is at the heart of the changes that have transformed Turkey. 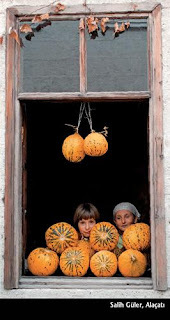 In 1950, it was a largely agrarian society, with 80 percent of its population living in rural areas. Its economy was closed and foreign currency was illegal. But a forward-looking prime minister, Turgut Ozal, opened the economy. Now Turkey exports billions of dollars in goods to other European countries, and about 70 percent of its population lives in cities. Mr. Cak was referring to Turkey’s deep class divide. An urban upper class, often referred to as White Turks, wielded the political and economic power in the country for decades. They saw themselves as the transmitters of the secular ideals of Mustafa Kemal Ataturk, Turkey’s founder. They have felt threatened by the rise of the rural, religious, merchant class, particularly of its political representative, Turkey’s prime minister, Recep Tayyip Erdogan. 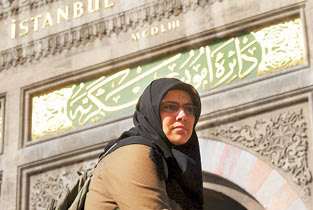 Ms. Aydin, 40, who wears a head scarf, encountered that attitude not long ago in one of Istanbul’s fanciest districts. A woman called her a “dirty fundamentalist” when Ms. Aydin tried to put trash the woman had thrown out her car window back inside. She does not have to. Her father started by selling curtains. Now he owns one of the largest home-appliance businesses in Europe. 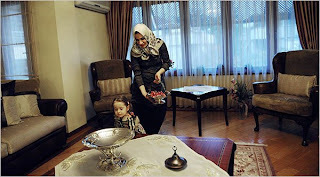 Ms. Aydin grew up wealthy, with tastes no different from those of the older class. She lives in a sleek, modern house with a pool in a gated community. Her son attends a prestigious private school. A business school graduate, she manages about 100 people at a private hospital founded by her father. Her head scarf bars her from employment in a state hospital. Her husband, Yasar Aydin, shrugged. “Rich people everywhere dislike newcomers,” he said. In another decade, those prejudices will be gone, he said. The businessmen describe themselves as Muslims with a Protestant work ethic, and say hard work deepens faith. Tavernise also briefly touches on how this newly emergent middle class is dealing with their new money status, and religious dictates that one should not consume more than one needs. Tavernise observes many wealthy and religious Turks justify the purchasing of extravagances by complementing such acquisitions with generous donations to religious charities (like Deniz Feneri). For full article, click here. In my mind is Dutch painter Pieter Aertsen's juxtaposition of sinful meats and mussels alongside less lavish foods of piety, like bread and fish. For more on Islamic Calvinism and Turkey's religious classes, see the European Stability Initiative's 2005 report on the subject. For more on class politics in Turkey, see my June analysis of a 2005 law prohibiting newly arrived "black Turks" -- by no means the Islamic Calvinists referred to by Tavernise as buying fancy sinks and curtains -- from swimming in their underwear. I just spent some time today in the factory of the Turkish shoemaker who claims that it was his company's shoe that was thrown at George W. Bush and that his sales are now booming. Hard to verify his claims: the offending shoes have apparantly been destroyed, although I did see a group of men in the company's workshop feverishly making pairs of the shoe -- now renamed the "Bye Bye Bush" model -- for delivery to Iraq. There certainly is a precedent for this intersection of politics and fashion (if that's a word we can use in connection with a very chunky, though suprisingly light, pair of shoes). In late 2005, Istanbul suitmaker Recep Cesur made headlines and then reaped a harvest of increased sales after Saddam Hussein appeared in a Baghdad court wearing a pinstriped Cesur suit. Cesur's sales skyrocketed in Iraq and other parts of the Middle East, his suits now carrying with them the scent of power while making the statement that "I'm sticking it to the Americans" (or, more likely, to George Bush). During a visit to Cesur's Istanbul showroom, I even met an Iranian wholesaler who was snapping up Cesurs. The Iranians, who suffered terribly during the long war with Iraq in the 1980's, are no fans of Saddam, he told me. But a Cesur suit now had cache, he said. "If Michael Jackson drinks Coke, people will go to the supermarket and ask for Coke, not something else," he said. You can read the article about Cesur and his suits here. Click here for the New York Times article featuring Ramazan Baydan, the Turkish shoemaker who claims to have made the famous shoes. A Smoker and an At Times "Ordinary" Man: Heaven Forfend! Journalist-documentary maker Can Dündar gave testimony at the Ankara Prosecutor’s Office on Saturday after criminal complaints were filed against his latest documentary film, which recounts the lesser-known sides of the life of Mustafa Kemal Atatürk, the founder of the Turkish Republic. 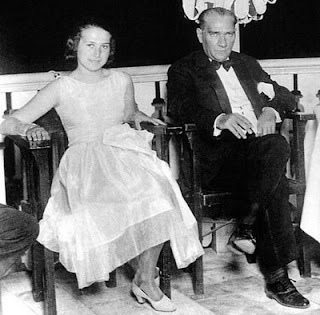 This latest film brought with it heated debate in all segments of society over whether it depicts Atatürk’s character and private life correctly. Criminal complaints against Dündar were filed by three individuals. On Nov. 10, the anniversary of Atatürk’s death, Ahmet Ercan, founder of the Anti-Smoking Association, and Orhan Kural, honorary president of the Fighting against Smoking Foundation, filed a criminal complaint against “Mustafa,” in which Atatürk is frequently shown smoking. Another criminal complaint against Dündar was filed by lawyer Gülnihal Soydan, who claimed a lawsuit should be filed against not only Dündar but the entire cast and the sponsors of the documentary. Soydan claimed that the documentary depicted Atatürk as an ordinary man by referring to him as “Mustafa” and constituted a crime under a law regarding crimes committed against Atatürk. For more on Dundar's film, click here. The 18th Criminal Court of First Instance acquitted Bülent Ersoy, the famous transsexual singer of Turkey, of the accusation of alienating people from military service through her words during a TV program. She had said that if she had a son she would not send him to fight in the Northern Iraq operations. The court ruled yesterday (December 18) that there was no intention of committing crime, she was using her freedom of expression. Ersoy did not come to the last hearing. Ersoy defended her position by saying that she was demanding solution rather than dying to solve the problem at hand and she also added that she had the right to express her opinions as an artist who was born and raised in Turkey and paid her taxes. Ersoy is on trial for talking against deaths in the Northern Iraq operations during the TV program Popstar Alaturka on February 24, which was aired by Star TV. The prosecutor had filed the lawsuit following complaints by ten people and based his arguments on the claim that every Turk was born a soldier and that Ersoy’s speech was quoted by the pro-Kurdish Roj TV. Considering the words she used as a whole, these remarks were made while the Turkish Armed Forces [TSK] were conducting a ground offensive in northern Iraq and when the Turkish society’s sensitivity toward military service and soldiers had reached a peak. Her remarks were aimed at discouraging people from sending their sons to military service. For this reason Ersoy was praised by Roj TV, known as the media organ of the PKK. 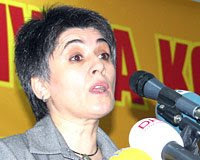 Some were encouraged by her statements and called on the Turkish society to not send its sons to military service under these circumstances, claiming that Turkish soldiers were martyred in a meaningless war in northern Iraq. The prosecutor also placed the credo that "every Turk is born a soldier in his indictment. This is precisely what freedom of expression is up against in Turkey, the kind of resistance to free thought and expression that must be overcome if Turkey is to have a freer marketplace of ideas in the future. Ersoy's court victory is a step in the right direction, but wonders if the verdict would have been different if she was Kurdish. PHOTO of police beating a group of women in Van this March. The 80-page report, "Closing Ranks against Accountability - Barriers to Tackling Police Violence in Turkey," documents 28 cases of police abuse against members of the public since the start of 2007, and examines official investigations of police conduct in those instances. The cases include fatal and non-fatal shootings by the police; ill-treatment and excessive use of force by police against demonstrators; and ill-treatment during or following identity checks. Those who file complaints against the police often find themselves put on trial for having "forcibly resisted" the police. 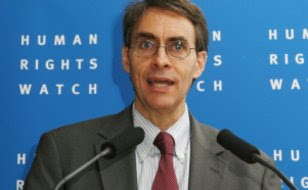 "Turkey needs to tackle its violent and trigger-happy policing culture," said Kenneth Roth, executive director of Human Rights Watch. "That can only happen if the criminal justice system holds the police to account for these serious crimes." Police violence in Turkey has been exacerbated by changes to the law on police powers made in June 2007, which give police excessively broad discretion to use lethal force and encourage arbitrary stops and searches by police. Since the research for this report was finished in June 2008 there has been a spate of shootings by police officers in cities such as Ankara, Istanbul, Adana, Bursa, and Antalya. Seven of them were fatal. The problem is compounded by the failure to adequately investigate abuses when complaints are made. The report documents a pattern of police interference with investigations, including attempts to conceal, contaminate, or plant evidence. Investigations by prosecutors last many months and even years, often with no result. Where a prosecution is commenced, trials also last for years and the rate of conviction is extremely low. Convictions rarely lead to prison sentences. "Victims of police violence we interviewed frequently told us that the police feel untouchable," Roth said. "That will only change if police officers who break the law are punished." I have tried to follow incidents of police violence since starting this blog, but reports are numerous and media coverage of specific cases is sparse in detail, sporadic, and regularly inconsistent. The impunity of police officers charged with rights violations is routinely decried by human rights groups inside and outside of Turkey. As HRW writes in its report, incidents of police violence have been on the rise despite government pledges to curb abuse. However, pledges are not always followed up with substantive action. Take torture: The AKP-led government has announced a zero-tolerance policy on torture, but police continue to torture despite official government policy. In fact, police torture is on the rise, and despite this fact, the political environment is such that just last month AKP deputy Abdulkadir Akgül said he supports the use of force on "enemies of the state," drawing little nuance as to just how such a determination is made, when, and under what circumstances (á la torture, maybe . . . ?). Although measures have been passed to prevent torture by police, the practice is still rife and frequently occurs before arrest -- when the suspect is in custody, but has yet to be charged. People are often frequently subject to "open air" torture by police, as was the case of 15-year old Cüneyt Ertuş whose arm was broken in front of European news cameras in this year's Newroz riots. As mentioned by the HRW report, rights violations take place in a culture of impunity. Ahmet Kaymaz and his 12-year old son Uğur were killed by police in Mardin in 2004, and though the officers accused of using excessive force were exonerated, the case drags on. Claiming that there was not going to be fair trial since the beginning, the family's lawyer, Tahir Elçi says, “When we look at the violation of rights that have happened in Turkey in the past year, we see how right we have been. These incidents are the proof of how dominant the culture of no-punishment is. If the police officers who killed Kaymaz and his son had gone through a fair trial then perhaps the public officials would not act this comfortably and Engin Ceber [click here for Ceber's case, which involves prison abuse] would not be killed. The trials about torture and extrajudicial killings have reached no where. Kaymaz case is a good example.” According to Bianet, Elçi was prosecuted for “attempting to influence the process of fair trial” because of his words about the case, but was acquitted. Although HRW's report does not document incidents occuring past June 2008, the most recent police shooting to attract national attention occurred in August. 22-year old Fatih Cem İnci was shot by a plainclothes police officer for little apparent reason. To make the killing all the more heinous, the officer used his gun to prevent passersby from rendering assistance. İnci died of massive blood loss. Luckily, in İnci's case, police officer Mustafa Atasoy was charged with voluntary manslaughter and stood trial shortly after. A further illustration of police officers' sense of being "above the law" occurred earlier this month when a young woman was accosted by a Kadıköy police officer who apparently objected to the newspaper she was reading. The woman hired a lawyer who managed to convince a prosecutor to investigate the incident, a move for which the police retaliated by detaining the woman and verbally harassing her. As HRW documents, police routinely use such methods of intimidation. Another incident of police violence that received quite a bit of attention this year was the beating of grocer Metin Şahin by two municipal police officers in the Keçiören district of Ankara. Police are thought to have targeted Şahin because he sold alcohol and is Alevi. Unlike other cases of police violence, Şahin's case was widely reported and an investigation opened. Police have also drawn sharp criticism for using excessive force to control demonstrators. May Day celebrations are always a tense time of protests in Turkey, but this May, İstanbul police showed little restraint. As testified to by two incidents this past month, the use of police force in response to political demonstrations is frequently questionable. In the first incident, Ankara police used tear gas on a group of allegedly riotous demonstrators. In the second, İstanbul police in Beyoğlu harassed a group of women who were holding an exhibition of photographs portraying violence against women. The exhibition was to raise awareness of domestic violence, and according to Bianet, police used "physical violence" to break up the allegedly "unauthorized activity." In addition to local police forces, Turkey also has a national police force, in addition to a military police force. 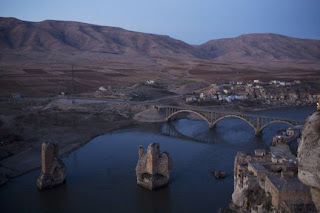 The Gendarmerie -- or Jandarma in Turkish -- are a branch of the Turkish Armed Forces, and in theory, are chiefly designated to patrol rural areas, including the largely rural and Kurdish southeast. The Gendarmerie has long been criticized for human rights violations, and democracy/rights activists have long called for the military force to be placed under civilian control. Largely a bow the EU demands for reform, the government plans to place the Gendarmerie under a proposed civilian-governed Domestic Security Undersecretariat, a new unit that will be solely responsible for coordinating security units in fighting terrorism. Under the plan, both the national police department and the Gendarmerie will be placed under the undersecretariat. The change is likely to be met with fierce opposition; however, as HRW's most recent report indicates, civilian control is far from a panacea. -Action to ensure that trial hearings of law enforcement officials facing prosecution take place without undue delay. Action should also be taken to clearly condemn all forms of torture by police, including that occurring before arrest and in open air areas. For the full report from HRW, "Closing Ranks Against Accountability: Barriers to Tackling Police Violence in Turkey," click here. (The report is available in Turkish, too.) For an earlier report issued this year by the Turkish Economic and Social Studies Foundation (TESEV), click here. For coverage of the report on BBC World News, click here for video. Click here for full article. Rosen goes on to examine Google's use of I.P. blocking in a variety of other cases, including requests made by neoconservative U.S. Senator Joseph Lieberman to block sites the senator considered "jihadist." As Rosen propounds, Google's role as the "Decider" certainly places the world's largest information search engine in a truly powerful position, ultimately determining what content may be seen in what country. As Rosen notes, Google's IP blocking technique has failed to mollify Turkish critics. YouTube continues to be intermittently banned for a variety of offenses, as do a number of other websites, including GoogleGroups, WordPress, and most recently, BlogSpot. Under a law passed in May 2007, Internet websites can be banned by Turkish courts or blocked by Internet service providers under a variety of circumstances, including personally offending someone. Adnan Oktar, a prominent Turkish creationist, has successfully petitioned to have a number of websites banned, most famously Richard Dawkins'. Human rights activists have grown increasingly concerned with the new law, which appeared in the annual reports of Human Rights Watch and Amnesty International. The law has also drawn criticism from European Union officials, most recent being British MEP Richard Howitt. Most damaging diplomatically, the law was cited as unduly limiting freedom of expression in the European Commission's most recent progress report on Turkey's progress toward accession, and is also likely to play prominently in the European Parliament's upcoming report. Akdeniz and Altıparmak argue that Law No. 5651 was rushed through Parliament just before the Parliament was dissolved for the 2007 general elections and that it had not received broad public support before or after its enactment. Universities and experts, including bar associations, were not consulted about the bill, either. The authors point out that Web sites can only be blocked if they commit crimes listed under Article 8 of Law No. 5651: encouraging suicide, sexual exploitation of minors, encouraging drug use, supplying harmful substances, obscenity, providing a forum for gambling and prostitution. Web sites may also be banned under other laws, such as the Law on Intellectual and Artistic Works. After examining the many instances of Web site bans over the past year, Altıparmak and Akdeniz suggest that many of the blocking orders that have been issued are actually against the law. “It is unlawful for the courts, judges and public prosecutors to issue blocking orders and precautionary injunctions outside the scope of these two provisions. Based on this view, blocking orders issued outside the scope of these provisions should be lifted by the courts that issued the orders in the first place,” they claim. Aside from the issue of the law itself, blocking Web sites is simply an inadequate method for combating illegal content, the authors argue. “Blocking as a preventative policy measure has been explicitly dismissed within the context of terrorist use of the Internet at the level of the European Union. Furthermore, circumvention technologies are widely available, and the filtering and blocking mechanisms and methods currently used in Turkey are easy to circumvent even for inexperienced Internet users. The futility of the current blocking measures is evidenced by the fact that YouTube.com was the 16th most accessed site in Turkey according to the alexa.com Web site on Aug. 18, 2008, almost three months after the latest blocking order was issued,” the writers point out. Monday is the first day of Eid al-Adha, Islam's most important four-day religious holiday during which millions in Turkey travel to spend time with family members and loved ones. After the Eid prayer, performed on the first day of the Eid, animals are slaughtered as a reminder of the Prophet Abraham's willingness to sacrifice his son Ishmael to God as an act of obedience and submission. The holiday is also when Muslims able to do so go on the annual pilgrimage to Mecca. Eid al-Adha is seen as a time of year when Turks actively socialize and reunite with friends and family, creating a positive atmosphere across the country with solidarity between relatives, neighbors and society at large, with communities not forgetting the needs of the poor and less fortunate even at this joyful time. It is a time of giving and sharing. Eid al-Adha is also a day of remembrance for those who are no longer with us, with many visiting the graves of deceased relatives and loved ones over the holiday. Academics and writers in Turkey have risked a fierce official backlash by issuing a public apology for the alleged genocide suffered by Armenians at the hands of Ottoman forces during the first world war. Breaking one of Turkish society's biggest taboos, the apology comes in an open letter that invites Turks to sign an online petition supporting its sentiments. It reads: "My conscience does not accept the insensitivity showed to and the denial of the Great Catastrophe that the Ottoman Armenians were subjected to in 1915. I reject this injustice and for my share, I empathise with the feelings and pain of my Armenian brothers. I apologise to them." The contents expose its authors - three scholars, Ahmet Insel, Baskin Oran and Cengiz Aktar, and a journalist, Ali Bayramoglu - to the wrath of the Turkish state, which has prosecuted writers, including the Nobel prize-winning novelist Orhan Pamuk, for supporting Armenian genocide claims. Turkish writers and academics have long been targeted by zealous prosecutors for various statements made in connection with the 1915 massacres. In September, Ahmet Altan was targeted for an article entitled "Oh Brother" in Armenian. Another recent case involves Temel Demirer, in whose case Justice Minister Mehmet Ali Şahin said, “I cannot let someone call my state “murderer”. This is not freedom of expression. This is exactly what the crime of insulting the person of the state is.” Under new legal requirements for prosecution under Article 301, Turkey's most infamous legal restriction on freedom of expression among many, Şahin authorized Demirer's prosecution, virtually declaring him guilty. In June, Ragıp Zarakolu became the first convicted under the revamped law. "Why I Love Turkey's Smoking, Drinking Founding Father"
It felt like treason, and it probably was. That would be the Republic of Turkey, my homeland. And I was about to betray it by attending the noon showing of a controversial film about the life of its founding father, Mustafa Kemal Ataturk. Mustafa opened in theaters on Oct. 29--the 85th anniversary of, well, the republic--to the delight of an eager crowd. A general-turned-statesman, Ataturk not only led an epic war of independence against the invading Western powers in 1919, but also transformed a declining Ottoman Empire to a modern republic by abolishing the sultanate, the caliphate and establishing a secular democratic system. His radical reforms--ranging from adopting the Latin script to equality for women--revolutionized Turkish society and anchored the young nation to the west. Mümtaz'er Türköne examines intellectuals' relationship to politics, specifically the CHP. While holding intellectuals to task for adopting the same elitism as CHP members, Türköne acknowledges many to have supported AKP because of the party's pro-democracy and pro-EU agenda. Türköne is responding to a column by Oral Çalışlar in the leftist Radikal in which Çalışlar laments the emerging pro-establishment --meaning more nationalist/statist -- position of AKP, a development which has come to concern many progressive intellectual reformers as of late. Because of the elitist tradition on which it has relied, the CHP has failed to appeal to all of society and has not overcome its image as a bureaucratic party destined to always act as an opposition party. This was a problem of not only the CHP, but also intellectuals, who, like the CHP, are the products of the elitist tradition. However, intellectuals have a greater dilemma than the CHP. This is because intellectuals are accepted as intellectuals to the extent that they appeal to society. Unlike the CHP, they have to do things beyond this elitist tradition in order to advocate freedom, democracy and the rule of law. This accounts for why intellectuals cannot join the CHP, but at the same time, have problematic relations with conservative and traditional circles. As the CHP reviews its elitist past, intellectuals are discussing their problems with the Justice and Development Party (AK Party). Having supported the AK Party against the militarist and bureaucratic political guardianship, intellectuals are now questioning this support. In Turkey, being an intellectual makes you automatically leftist. As the term "left" or "leftist" are preferred concepts in Turkey, these intellectuals tend to define themselves as "democrats." Although this designation is used for a different reason, it means "liberal" as it does in the US Democratic Party. The designation of "democrat" is used out of habit or for convenience for these intellectuals, most of whom are former Marxists. Oral Çalışlar, a Radikal columnist, says the number of these intellectuals is "40 or 50 at most," but this is not a small number either. As an intellectual acts as a translator for the feelings and tendencies of the masses who cannot express them, this figure is rather high. To dispel any doubt, we may also provide some names. This is a long list including Ahmet Altan, who ruthlessly shoulders the entire burden alone, the Altan brothers, Eser Karakaş, Şahin Alpay and Cengiz Çandar. First, we need to question the frequently voiced theses that "The AK Party is not democratic" and "Everyone seeks democracy for only their own community." How can one suggest that a political party -- not only the AK Party, but also the CHP and the Nationalist Movement Party (MHP) -- do not support democracy, which is their raison d'être? How can intellectuals, who are supposed to defend freedom against all sorts of power, yield to democracy, i.e., the rule of the people? Isn't there a problem with the description "a democratic intellectual who says the AK Party is not democratic"? Our political system, which we call a representative democracy, is run through political parties. When you take political parties out of the system, there remains nothing that we can call democracy. Democracy is what makes parties exist. Parties are what make democracy exist. The description "a party that is not democratic," which Çalışlar is comfortable using, is not quite accurate. If he refers to "intra-party democracy," it is an altogether different topic. The political system that is up and running inside political parties is a product not of the Political Parties Law, but of the political culture of the nation. An AKP stalwart, Türköne's conclusion is far from surprising, but interesting is his resignation at the structure of political parties. Türköne discounts the important role played by emerging Turkish civil society groups operating at the grassroots, and seems to suggest political parties to be the only driving force in democratic politics, in Turkey or otherwise. Attacking Çalışlar's position on political parties, Türköne argues that their predominance in Turkish politics has more to do with political culture than it does with the Political Parties Law. While this may indeed be the case, an issue addressed in my post two days ago about youth participation in politics, it does not mean that Turkish political leaders should not promote a more participatory polity. Political culture is not static, and in Turkey, seems to be on the verge of recovery. Türköne's argument that intellectuals are best served by AKP may indeed be the case when it comes to the ballot box, but it is their engagement with the party outside of the dictatorial normal politics of inner-party decision making in which lie the best prospects for Turkish democracy. The development of a vibrant and diverse civil society is precisely what is needed in Turkey because the political party system is so impoverished, and one of the reasons for this poverty is the exact same party-centric view Türköne perpetuates. As Turkish citizens from a variety of religious and ethnic backgrounds, social classes, and political groups come to participate more in politics, Turkish political parties will in turn become more diverse, and consequently, more sophisticated in their understanding and approach to politics -- regardless of whether these citizens cover their heads, speak Kurdish, or practice heterodox forms of Islam. Increased participation in and organization of Turkish civil society should translate to increased demands for better representation, and demands for better representation are the only hope that a more democratic party politics might one day come to pass. Amid rising tension between New Delhi and Islamabad in the aftermath of last week’s terrorist attacks in Mumbai, President Abdullah Gül yesterday hosted a trilateral meeting with the presidents of Afghanistan and Pakistan in İstanbul for talks aimed at boosting cooperation between the neighbors. In the spring of 2007 Turkey arranged a meeting between Karzai and his then-Pakistani counterpart, Pervez Musharraf, after Kabul accused Islamabad of not doing enough to stop militants from entering Afghanistan from Pakistan. During the landmark trilateral summit in Ankara in late April of last year, Karzai and Musharraf issued a joint statement called the “Ankara Declaration,” which stresses mutual commitment to fighting terrorism. That was the first meeting between Karzai and Musharraf since September 2007, when they were brought together by US President George W. Bush to try to ease tensions. Yesterday's trilateral meeting in İstanbul came in the midst of a recent row between New Delhi and Islamabad as India made allegations of Pakistani elements being involved in the terror attack on the Indian city of Mumbai. For full article, click here.For more of the below analysis of the meeting from EDM, proceed here. This is the second such trilateral summit that Turkey has arranged. The presidents of Turkey, Afghanistan, and Pakistan met for the first time on April 29 and 30, 2007, in Ankara. At that time the Pakistani and Afghan leaders issued the so-called Ankara Declaration, which underlined their intention to take concrete steps toward regional development and the fight against terrorism. Following the meeting, the parties agreed to form a joint working group to follow up on the conclusions of the summit and maintain the trilateral process (Stratejik Analiz, June 2007; www.asam.org.tr). Gul extended his invitation for a new meeting to his counterparts during the UN General Assembly in September 2008, and they accepted. After deliberations over the scheduling, the three heads of state finally decided to meet in Istanbul. The main items on the summit agenda are cooperation in security and the economy. The joint working group composed of senior-level officials met the day before to discuss the specific areas set in the first trilateral meeting. Given Turkey’s experience, the parties are expected to reach an agreement to train Afghan and Pakistani officers in Turkey’s anti-drug trafficking and anti-terrorism educational centers. The joint declaration prepared by the working group will be approved by the leaders and made public. Moreover, representatives of the business sector met within the framework of the Istanbul Forum founded by the Union of Chambers and Commodity Exchanges of Turkey (TOBB) with it’s the equivalent bodies from Afghanistan and Pakistan (www.cankaya.gov.tr, December 3; www.cnnturk.com, December 5). The inclusion of the private sector and economic issues as a separate group reflects Turkey’s recent foreign policy philosophy that a comprehensive solution to political problems can be built on the foundations of strong economic cooperation. 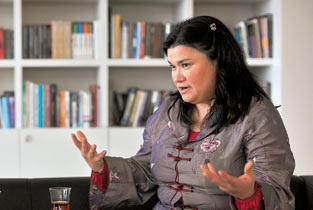 Halime Güner, from the Flying Broom Association, said women are sick of Altaylı. “He cannot take his mind off a particular part of his body. This attitude of his has led me to think that he has some problems with it. I strongly advise him to seek medical attention immediately,” Güner said. She added that in Turkey there are endless debates and that many of them are concentrated on women’s bodies. For full article, click here. 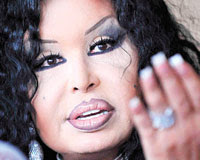 As the article notes, Altaylı has a history of verbally assaulting people, especially women, including covered women wishing to enter university and human rights activist Eren Keskin. The European Court of Human Rights has ruled that a complaint filed by two Turkish immigrants in France is not admissible, while pointing to a previous headscarf decision against Turkish national Leyla Şahin as a precedent for the ruling. The applicants, Belgin Doğru and Esma-Nur Kervancı, are French nationals who were born in 1987 and 1986, respectively, and are living in Flers, France. As practicing Muslims, they complained about their expulsion from the school they had been attending as a result of wearing headscarves during physical education and sports classes. The two relied on European Convention on Human Rights Article 9, which covers freedom of thought, conscience and religion, and on Article 2 of Protocol No. 1 of the convention, which covers the right to an education. The European court, however, ruled yesterday that its reasons for rejecting a similar case by Şahin set a precedent for these applicants’ complaints as well, the Anatolia news agency reported. Şahin had to leave university in 1998 because the school prevented her from attending courses and exams when she refused to remove her headscarf. The court’s Grand Chamber ruled in 2005 that the ban did not violate the right to freedom of thought, conscience or religion guaranteed by an international human rights treaty. The ruling was in response to an appeal by Şahin against an earlier ruling from a lower chamber of the court, which found the headscarf ban was in place to protect the rights and freedoms of all students and safeguard public order. A law banning Islamic headscarves and other religious symbols from French state schools went into force in September 2004. Forbidden items include Muslim headscarves, Sikh turbans, Jewish skullcaps and large Christian crucifixes. The ECHR affirmed Şahin in a similar decision this June. The political context of the ruling is that the ECHR's stance on the türban does little to endear Europe in the hearts and minds of religious Turks, some of whom have tended to support Europeanization as a potentially positive force in efforts to renegotiate state secularism. 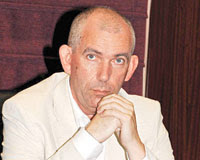 Joost Lagendijk, a Dutch Green party member of the European Parliament and co-chairman of the EU-Turkey Joint Parliamentary Committee, will move to Turkey next year and teach at a university in İstanbul, a statement from his office said yesterday. He is leaving politics in Brussels to take up a lecturing post at Sabancı University and work as a senior advisor at the İstanbul Policy Center (IPC) starting July 1, 2009. Lagendijk will lecture on the European Union at the university and will be working on Turkey and the EU at the IPC, according to the statement. "After European Parliament elections in June 2009, I will stop my work as an MEP. My wish to stay involved with EU enlargement and Turkey issues and use my experience in this area came true. I am very much looking forward to my new job at Sabancı University and also to moving to İstanbul, a fantastic city," Lagendijk said. Lagendijk has been a member of the European Parliament since 1998 and has been the co-chairman of the EU-Turkey Joint Parliamentary Committee since 2002. He has also worked as rapporteur of the European Parliament on Kosovo since 2005. He announced in April that he would not run for the European Parliament in next year's elections. "As you know my personal situation has changed lately and to be honest I am sometimes getting fed up with all the traveling to Turkey, to the Balkans and Strasbourg. I want the last part of my working life to be quieter and not [spent] at airports and on airplanes all the time," Lagendijk had told Today's Zaman in April, referring to the fact that he has been married to Nevin Sungur, a senior reporter for the NTV news channel, since October 2006.